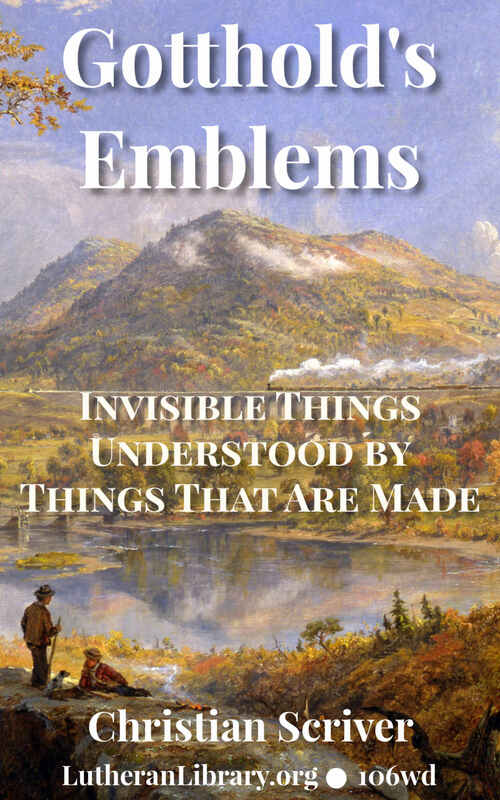 ‘Gotthold’s Emblems’ is a unique book of wisdom devotions written by Rev. Christian Scriver. From the time of its first publication this beloved volume has gone through more than 28 editions. You may shake or push the magnetic needle from its position, continued Gotthold, but it returns to it the moment you leave it to itself. In like manner, believers may fall into sin, and deviate from the line of duty; but no sooner have they leisure for reflection, than they endeavor to amend, and resume a life of godliness. On the contrary, the wicked watch for opportunities to do evil, and yield to all the temptations of the devil and the world. Gotthold’s Emblems is a unique book of wisdom devotions written by Rev. Christian Scriver. Christian Scriver was born Jan. 2, 1629, at Rendsburg, Prussia. His early years were spent during the trying times of the Thirty Years’ War. He was educated at Rostock (1647). In 1653, archdeacon at Stendal; 1667, preacher at Magdeburg, where he served for 23 years, refusing repeated honorable calls to Berlin, Stockholm, etc. In 1690, he was persuaded to accept a call as chief court-preacher, at Quedlinburg, Saxony, where he died of apoplexy, April 5, 1693. 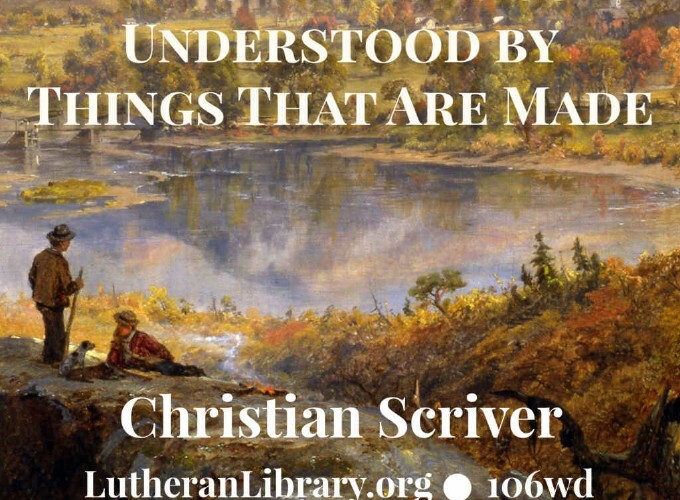 Scriver was unquestionably sound in his Lutheranism, though he earnestly protested against the mistakes which were becoming more and more pronounced in the church of his time. Together with Heinrich Müller, he was called to prepare the way for the Pietism of the succeeding period, which was a reaction against the dead orthodoxy which had become characteristic of the Lutheran Church.